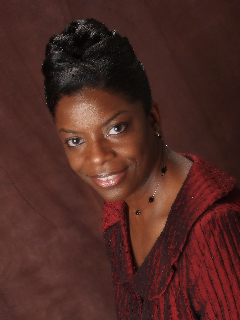 Missionary Melissa D. Peel is the First Lady of The Greater Love Church of God in Christ. Sister Peel is Saved and Holy Ghost filled. She is the fourth generation of her family to serve in the Church of God in Christ. Her husband, Pastor Rex A. Peel is the appointed visionary leader of The Greater Love Church of God in Christ which is located on Chicago’s Westside. Sister Peel attended Josephinum High School where she matriculated in Science and Math graduating in 1985. Before entering the United States Army she met the man who God had ordained to be the Priest of her home. After being discharged in March of 1989, Sister Melissa and Brother Rex married in September of the same year. During this time Sister Peel worked for Presbyterian St. Luke’s Hospital as a Certified Respiratory Therapist. After returning to school in 1996, she received her Bachelor of Arts Degree in Marketing Management from Chicago State University in 2001. Sister Peel has served in many capacities at Greater Love. Under the leadership of the late Pastor Ollie L. Peel, Sister Peel did what she was asked, while doing whatever her hands found to do. She served as Choir President from 1999-2003, and with the permission of her late Pastor she renamed the Greater Love Choir with the name, Greater Love’s Love Ensemble. Sister Peel was the Assistant State YPWW Chairlady from 2005-2008. Sister Peel was also a contributing writer in the official Young Women of Excellence Manual. Sister Peel was employed by the Cook County Bureau of Health services for fourteen years. While with the bureau she worked as a Respiratory Therapist and the Administrative Assistant to the Director of Patient Care Services. When she resigned from the bureau she completed her Masters of Arts Degree in Psychology, with a concentration in Community Counseling, from Chicago State University in May, 2008. She worked as the Director of Permanent Housing for Olive Branch Mission from 2008-2010. In the fall of 2010, after twenty-one years of marriage, God blessed Lady Peel and Pastor Peel with a beautiful daughter named Aria. And two years later in the fall of 2012, God bless them with a handsome son named Joshua. Lady Peel received her Missionary license in June 2013. The word says that some plant seeds, some water the seeds that are planted, but God is the one who increases. Undoubtedly, God has used her to sow and water seeds in the lives of many. Wearing several hats in and outside of ministry, Missionary Peel works tirelessly and effortlessly with her husband praying, encouraging and supporting him as he continues to do the work that God has placed in his charge. Missionary Peel desires to live her life that she may live again. She greets life with arms wide open and is sincere in doing the work God has called her to do. Serving God with her whole heart with Psalm 34:1 as her motto, she will bless the Lord at all times; His praise shall continually be in her mouth!